Vaspian has serviced the Debt Collection Community for many years with products in advanced call and communication features, recently adding Speech Analytics and Automated Dialer to its bag of ‘tricks.’ One of the oldest and more valuable capabilities we offer is CRM & Collection Software Integrations. Our CRM software will streamline your different processes, allowing your website and customer database to function as one. You can retain customer information and enable market automations when you integrate your CRM with us. We bring our customers the ability to utilize ‘click to dial’ and ‘screen pop’ account retrieval, increasing productivity by removing human error. If your current CRM software is not included, we will integrate at no extra cost to you. BUFFALO, N.Y., Feb. 5, 2014 /PRNewswire/ — Vaspian, a leader in cloud-based communication services, today announced the launch of the CTI Module, which integrates Vaspian’s cloud based telephone system with Beam Software’s (www.beamsoftware.com) debt management and collection software platform. The integration allows Beam subscribers to be notified upon answering an inbound call and automatically pops the consumer’s account on the Beam user’s desktop as the telephone call is answered. The CTI Module also provides Beam users with “Click-to-Dial” functionality, which allows collection agents to simply click on the consumer’s telephone number to have their handset go off-hook and automatically complete the call. For both inbound and outbound CTI Module call services, Beam notates that a call was made and adds a note history to the account to help serve as an effective component to meeting compliance requirements. Decision Making SolutionsVaspian & Mined Systems have teamed up to provide powerful tools such as click to dial, screen pops and call account notations .The collaboration integrates Vaspian’s cloud based telephone system with Mined Systems Suite of tools. (www.minedsystems.com) The integration allows for subscribers to be notified upon answering an inbound call and automatically pops the consumer’s account on the user’s desktop as the telephone call is answered.The integration also provides Mined Systems users with “Click-to-Dial” functionality, which allows agents to simply click on the consumer’s telephone number to have their handset go off-hook and automatically complete the call. For both inbound and outbound call services, Mined Systems notates that a call was made and adds a note history to the account to help serve as an effective component to meet ever changing compliance requirements. Our contact center screen pop integration for Salesforce CRM manages interactions between the Salesforce CRM server and agent desktops, providing click-to-dial, call logging, call control, and screen pop capabilities. It reduces agent response times and ensures consistent communications. 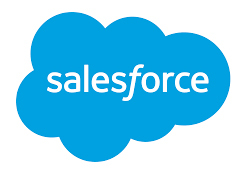 Salesforce CRM database pages, in conjunction with customer sales, service, marketing, or other CRM pages, are automatically delivered to agent desktops. With critical customer information at hand, agents can provide prompt, informed service.